Three weeks ago today, I wrote my last final exam of my third year of university. Since then, I was in Banff with my mother (you can read my travel diary of the trip here) and was waiting for my final grades to be up on the university website. I checked today, and they are all in, so I figured I would review the past year of university here on the blog. For starters, I loved the courses I took this year. I was in 5 courses each term: psycholinguistics, research methods in psychology, biopsychology, an introductory philosophy course, and an elementary computer science course in the fall; an introductory sociology course, cognitive psychology, history of psychology, psychological disorders in adulthood, and a first language acquisition course in the spring. My professors were all wonderful and made me even more passionate about psychology and linguistics, if that were possible. This year I stumbled upon a saving grace: scheduling blocks of time between classes. This year, I had gaps between course times from as short as 50 minutes to as long as 4.5 hours. Initially this was not intentional, but just how my courses lined up in the fall term. Having blocks of prime time for my brain to do readings, work on assignments, and draft papers made my terms so much easier. It made managing my time a less daunting task, and meant I could schedule social outings after classes because I had already studied earlier in the day. I am working on booking similar free blocks between my classes for next year, and I find myself hoping my courses allow for these time gaps. Ironic, isn’t it??? I also lost a very close friend this year. We had been drifting apart for awhile, but finally we stopped talking and seeing each other. This hurt because he meant a lot to me, but it was a toxic friendship. “We accept the love we think we deserve,” wrote Stephen Chbosky, author of The Perks of Being a Wallflower, and it took me a long time to realize it, but I deserve better. I did make several new friends this year though, and strengthened friendships with people in my programme. This has made planning classes for next year so much more fun because I can coordinate them with my friends and be in the same classes with them. This also means that group projects will be far less daunting since most professors let you pick your group members. I also began thinking about grad school. I really want to go to law school, but I am also really interested in speech language pathology and audiology. I am getting excited about planning my “future,” but it is also kind of daunting. Thinking ahead to courses for the coming year is one thing, but considering what I want to do for a career is something else entirely. Part of me just wants to keep going to school and learning different things for years to come, essentially being a professional student, but the idea of having a job I love that allows me to help people is important to me. Mind you, after watching a bunch of crime shows on TV like NCIS, Chicago PD, and Law and Order: SVU, graduate studies in Forensic Psychology are looking more and more appealing. Finally, this year I purchased a ton of books that I wanted to read this summer. 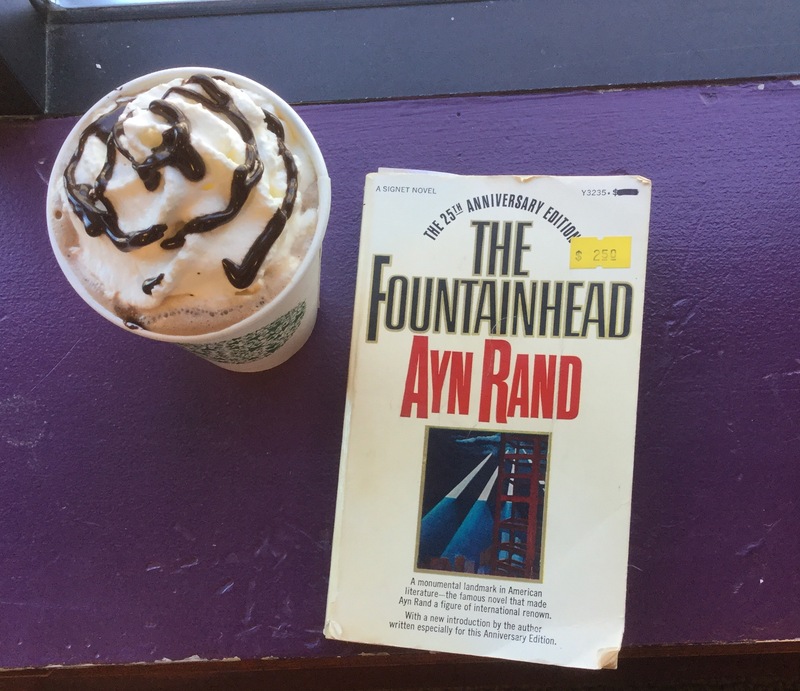 I am currently about 300 pages into The Fountainhead by Ayn Rand, which I found tucked away in a little used bookstore, and I am loving it thus far. Her writing style is very unique, but I find the character details and development to be very intriguing. Of course blogging has been on my mind a lot recently, and I have a long list of posts I want to write and publish this summer, so I will be getting started on those soon. How has your past year of school been??? Thanks! Good to know someone is there for me when I have school rants/problems! And good luck to you too, going into your fourth year! It must be exciting to be almost done!